Lawrence Leung in Maximum Choppage, Tattoo Tales, 8MMM Aboriginal Radio, Tough Jobs are all coming to ABC2 next year. ABC3 will see more of My Great Big Adventure, Bushwhacked! and Figaro Pho plus a new title, Bubble Bath Bay. Simon Chan (Lawrence Leung) has returned to his hometown after many years training in a faraway martial arts temple. He is a born hero, defender of the weak and champion of the honest people of Cabramatta… Well, not really. The truth is Simon was at art school in Melbourne, but he’d rather risk his life and keep up the kung fu charade than disappoint his mother with the truth. Alongside his two best friends, Egg (Dave Eastgate), a quick-buck entrepreneur and Petal (Stephanie Son), a groin-kicking kung fu girl, the trio face off against formidable foes including ferocious local gangs with a penchant for karaoke; an illegal fish fighting syndicate; a magical duck recipe that casts a horny spell; a K-Pop boy band spruiking Mayor Crawford’s (Darren Gilshenan) nefarious plan for the town; and the terrifying callisthenic combat skills of his daughter, Elle (Georgina Haig). Welcome to MAXIMUM CHOPPAGE, a painfully funny comedy series. Written by Lawrence Leung, Duncan Sarkies and Josh Mapleston, Directed by Craig Melville, Produced by Sophie Miller and Julie Eckersley, Executive Producers Tony Ayres and Debbie Lee. A Matchbox Pictures production in association with ABC TV, Screen Australia and Screen NSW. 8MMM is a struggling community radio station based in Alice Springs. Recent ‘re-visioning’ has decided that the future of the station is in Aboriginal media, and 8MMM is about to be relaunched as 8MMM Aboriginal Radio. Its passionate CEO, Jake Chandler, has secured operational funding to start up the new organisation and to shift the focus towards online media production. His second-in- charge, the competent Jessie, is lined up to take over management upon Jake’s imminent resignation. All she needs is a little training. All he needs is a little courage. With its motley crew of media workers, 8MMM struggles with limited funding, limited training, and limited equipment and resources. Blackfellas and whitefellas work together, with the collective view to making the station a success. If they can make it through the year, they will be part of the media revolution. Stars Shari Sebbens, Trisha Morton-Thomas and Ian Meadows. Written by Tricia Morton-Thomas and Dannielle Maclean. Executive Producer Andrea Denim. Produced by Rachel Clements, Tricia Morton-Thomas and Anna Caden. A Brindle Films and Princess Pictures production in Association with ABC TV, Screen Australia, Film Victoria and Screen Territory. This revealing documentary series offers a unique, entertaining and often poignant insight into contemporary Australia from inside the walls of a tattoo studio. Where once tattoos were badges of honour for the more marginal groups in society, getting inked is now an exploding social phenomenon. TATTOO TALES explores the prevalence of tattoos in Australia by conducting a social experiment inside a busy tattoo studio on Sydney’s famous Bondi Beach tourist strip. Twelve fixed rig cameras will record the day-to-day antics and artistry inside the studio and capture the stories behind each tattoo, such as: a young mother who has survived three open-heart surgeries and wants her tattoo to illustrate her story of survival; a divorcee who wants her ex-partner’s name covered up for good; and a hairdresser who has one of the world’s biggest collections of Spice Girls memorabilia, and won’t be happy until his obsession is marked in ink. Whatever you think of tattoos you’re bound to be intrigued by the motivations behind inking when you take a peek at TATTOO TALES. Produced by WTFN Entertainment. Directed and produced by Anne-Maree Sparkman, Executive Producer: Steve Oemcke, Creative Director: Stephen Rees. Old growth forest logger, pimp and abortion clinic worker… Madeleine Parry does the work that creates the thorny dilemmas of our time. She takes us to trades that underpin the comfortable lives most Australians lead; tricky jobs that pay not only for workers’ time and skill but also their moral compliance. Produced by Projector Films and Essential Media & Entertainment. Producers: Alan Erson & Daniel Joyce, Director: Madeleine Parry. GOOD GAME is ABC2’s hit program for gamers by gamers. Each week it’s jam-packed with the latest gaming news and events, top gaming tips, reviews and interviews with game developers and the people behind the scenes. 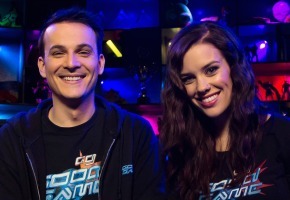 Hosted by Bajo (Steven O’Donnell) and Hex (Stephanie Bendixsen), GOOD GAME is filmed in the Den of Gaming; a gamers’ paradise fitted out with just about every gaming device ever invented and complemented by a huge plasma screen. Bajo and Hex are supported each week by Gus ‘Goose’ Ronald. An ABC TV Production. Kayne Tremills is back for another exciting series of MY GREAT BIG ADVENTURE and this time he’s bringing some friends along for the ride – Stephanie Bendixsen, Takaya Honda and Nancy Denis join the MGBA team in 2015. In this ground-breaking program, our four presenters take us on a series of immersive challenge-based journeys in search of answers to the hot button issues that affect young Australians. Major themes of resilience, understanding, tolerance and empowerment will feature throughout each episode and deliver a full circle perspective on the issue. Produced by Fredbird Entertainment for ABC. Series 3 of the hit kids TV series will see Kayne Tremills and Kamil Ellis reunited for 13 more high-octane adventures across remote parts of Australia – from the Crocodile Islands in the Arafura Sea to Dismal Swamp in Tasmania, from Lorna Glen in the Central Desert of WA to outback NSW. On each mission, Kamil will challenge Kayne to find an endangered or deadly native animal – from the albino kangaroo to the pygmy crocodile, the inland taipan snake to the deadly cone snail. Along the way they will meet Indigenous mobs from across Aboriginal Australia, learning their rites and rituals as well as their strong connection to native wildlife. With an emphasis on saving animals and celebrating Indigenous culture, BUSHWHACKED! series 3 promises to be as adrenalin- fuelled as ever! Produced by Mint Pictures. FIGARO PHO has had enough of being afraid of everything. His fears are preventing him from enjoying a fulfilling life and he has decided, once and for all, to face his fears, head out into the world and live. With his trusty companion Rivet by his side, surely he will succeed. FIGARO PHO’s new adventures are wilder, more surreal and more hilarious than you could ever have imagined. The second series of fabulously fearful Figaro brings new characters, plots, fears and motivation to Figaro and new surreal delights for the audience. Cast: Luke Jurevicius. Produced by Chocolate Liberation Front in association with Luma Pictures, Screen Australia, Film Victoria, South Australian Film Commission, Fulcrum Media, ABC Commercial and Distribution 360 for ABC3. Inspired by the beloved Australian children’s books by Barbara and Anna Feinberg, TASHI plunges us into an adventurous world full of giants, goblins, genies and danger. When Jack’s parents bundle him off to stay with his distant cousin Tashi, the two boys become swept up in a series of wild adventures exploring a fantastical land far, far away, and protecting Tashi’s village from a host of creatures and villains. Cast: James Buckingham as Tashi, Leon Williams as Jack and Jacqueline Marriott. Co-produced by Flying Bark Productions Pty Ltd, Telegael Teoranta and Discreet Art Productions LLP. From the team at Gristmill (Upper Middle Bogan, The Librarians) comes LITTLE LUNCH, a mockumentary comedy series about what happens in the primary school playground at snack time, told through the eyes of six children. Based on the successful books written by Danny Katz and illustrated by Mitch Vane, and adapted for television by the highly regarded comedy creators Robyn Butler and Wayne Hope, LITTLE LUNCH is a series of funny and touching adventures about 15 highly significant minutes of a child’s life. A Gristmill Production in association with ABC3, Screen Australia, ACTF and Film Victoria. In a unique collaboration between the producers of Dance Academy and Redfern Now comes MY LIFE IN 50 WORDS OR LESS. A long way from home, five Indigenous kids come to the city to explore their dreams. For some it’s the opportunity of a lifetime, for others it’s a last chance. For all of them, family is the last thing they expect to find. For many young Aboriginal and Torres Strait Islander people, the only way to pursue their dreams is to move away from their (often remote) communities and come to live in a hostel in the city. On the one hand it’s thrilling to get a taste of adulthood and independence from family. On the other, moving away from the close ties of community can be a confusing and difficult experience. Finding a path through the new challenges and adventures that the city offers, as well as learning to trust and like the other residents of the hostel, is the basis of the stories within this show. Produced by Big Chance Films Pty Ltd in association with Screen Australia, Screen NSW, ACTF and ABC. ABC3’s version of the popular ABC TV show all about the wonderful world of video games. Hosted by passionate gamers Hex (Stephanie Bendixsen) and Bajo (Steven O’Donnell) GOOD GAME SP is the show for younger gamers by gamers which makes sure all your games are good ones. Also stars Gus ‘Goose’ Ronald and Darren the Robot. An ABC3 production. STUDIO 3 is the hub for everything that happens on ABC3. It’s an entertaining mix of comedy, interviews and randomness. If there’s something special happening on ABC3, you’ll hear it here first. STUDIO 3 also produces ABC3’s annual Smackdown special that includes all the channel hosts, and is broadcast on Australia Day. Hosted by James Elmer, Olivia Phyland, Tim Matthews, Grace Koh and Ivy Latimer. An ABC3 production. 3 NEWS is Australia’s only daily news program aimed at children. It’s presented by a dynamic team of young journalists who report on the news stories that matter to kids. Who said the news had to be boring? It’s unique to the ABC and specifically tailored for younger audiences. At 6.45pm weekdays we present a flagship bulletin for kids designed to complement the adult news service at 7pm on ABC TV. Hosted by Sarah Larsen, these bulletins will help place local and world events in a context that children can understand. Hosted by Nathan Bazley, BEHIND THE NEWS (BtN) is an educational news program aimed at upper primary school children. BtN finds fun and engaging ways to explain complex news stories to children. The content of the program is linked to key learning areas in the Australian National Curriculum. Teaching resources are provided with each episode. BtN has been running for more than 40 years, making it the second longest-running news program on Australian television. An ABC News production. Entering its 49th year, PLAY SCHOOL continues to encourage Australian pre- schoolers to wonder, think, feel and imagine. Through songs and stories, a variety of play ideas and things to make and do, the program explores themes that are important to the young child’s world. The 2015 series includes: ‘Knock! Knock!’ where the viewers are introduced to a range of interesting visitors; ‘Me and My Place’ which explores all kinds of different homes and neighbourhoods; ‘Make and Mould’ which features a wide variety of materials to inspire the audience to make and create. Key Cast: Abi Tucker, Alex Papps, Andrew McFarlane, Emma Palmer, Jay Laga’aia, Justine Clarke, Leah Vandenburg, Luke Carroll, Michelle Lim Davidson, Rachael Coopes, Sofya Gollan, Teo Gebert, Zindzi Okenyo. An ABC production. Join Jimmy Giggle and his owl pals Hoot and Hootabelle for another year of hoot- astic fun in the land of GIGGLE & HOOT! 2015 will bring lots of new adventures, songs and even some surprising new friends to the Giggle and Hoot family. Cast: Jimmy Rees (Jimmy Giggle), Nicholas Richard (Hoot), Naomi Young (Hootabelle). An ABC production. Sail away to a world of fun and adventure with Sydney the sailboat and Zip the water taxi as they learn to ride the waves with their friends in bustling BUBBLE BATH BAY. This new animated CGI pre-school series stars the voice talents of acclaimed Australian actor Colin Friels as Terry the Tug, Samson Hyland as Sydney the Sailboat and Frederique Sims as Zip the Water Taxi. An Essential Media and Entertainment production in association with Shambles Communications, Ideate Media, Telegael Teoranta and Lemon Sky. In this new series everyone’s favourite meadow friends are back, playing as joyfully and curiously as ever. In their home in the meadow, Little Nutbrown Hare and his father, Big Nutbrown Hare explore their beautiful surrounds, delighting in the love between them. Series 2 episodes will continue to capture children’s real life experiences whilst enabling them to form a closer relationship with the amazing world they live in. Stars Ky Baldwin, Mark Owen-Taylor, Bella Mistry, Monique Hore, Dylan Elchaar and Jillian O’Dowd. Produced by SLR Productions Pty Ltd.
2015 marks the Centenary of Gallipoli and ABC TV is your home for all the commemorative ANZAC events. The shores of Gallipoli were the birthplace of the ANZAC legend and in the lead-up to the hundredth anniversary of the landings ABC News will present a full week of live broadcasting from the region, re-telling the ANZAC stories for all Australians. It all builds up to ANZAC Day when ABC and ABC News 24 will have the most comprehensive coverage of all the commemorations, from marches in towns and cities across Australia to the dawn services in Turkey and France. With the biggest network of correspondents and reporters at home and across the world,the ABC is the one place to see every key event during the ANZAC Centenary. Regarding the death of ABC2, one may note that Australia Network isn’t covered here. It is gone. But wait, AustraliaPlus exists! With pretty much the same programming! ABC2 will have to continue to exist, if only to broadcast ABC4Kids. All that’s in question is what it has on in the evening. Without PLM and DLL on ABC2, can’t say much else appeals. Still not convinced ABC2 will survive the whole year. 8mm, Tough Jobs and Maximum Choppage were announced last year. So they already finished and waiting to air or close to being finished. Tattoo Tales began shooting in October. So apart from Good Game which surely would survive online or on ABC1 what shows are going to be shot this year for ABC2? Might be worth asking them David if they have commissioned anything that hasn’t already been shot. I love The Mix. So glad it’s returning. Thank you ABC. Good ol’ Good Game. It’s a solid silent performer lovingly made and loyally followed. Oh no! What about Dirty Laundry????? My kids will be stoked at more Fiagro Pho. Cute, well done show that is different from the other kids shows out there. One I don’t mind watching with them. No Dirty Laundry Live in 2015? Or are we expecting it in the 2nd half of the year? That’s good, hopefully it gets a bigger audience. Love that show! 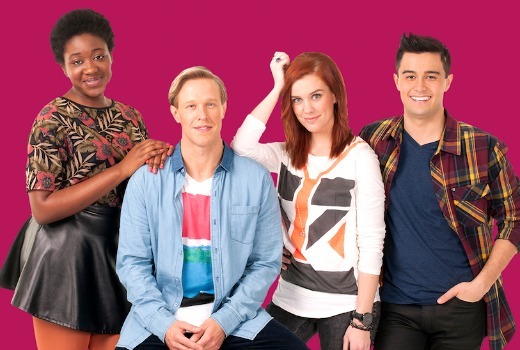 David, I noticed that Please Like me isn’t under the ABC2 comedy section, but is in the ABCTV post. Has the ABC moved the series onto the primary channel? Ummm…Big Ideas is not returning?….you reported DK. I’ve since been advised I was referring from a draft copy. ABC advises it is out, so I have deleted.